The Avanity 24-inch x 32-inch poplar wood framed mirror features a contemporary chilled grey finish and a simple clean design. It matches with several collections (Brooks, Modero, Tribeca) for a coordinated look and includes mounting hardware for easy installation. The mirror hangs horizontally and vertically. Transitional 32-inch L x 24-inch W Framed Wall Mirror in Chilled Grey The Avanity 24-inch x 32-inch poplar wood framed mirror features a contemporary chilled grey finish and a simple clean design. It matches with several collections (Brooks, Modero, Tribeca) for a coordinated look and includes mounting hardware for easy installation. The mirror hangs horizontally and vertically. 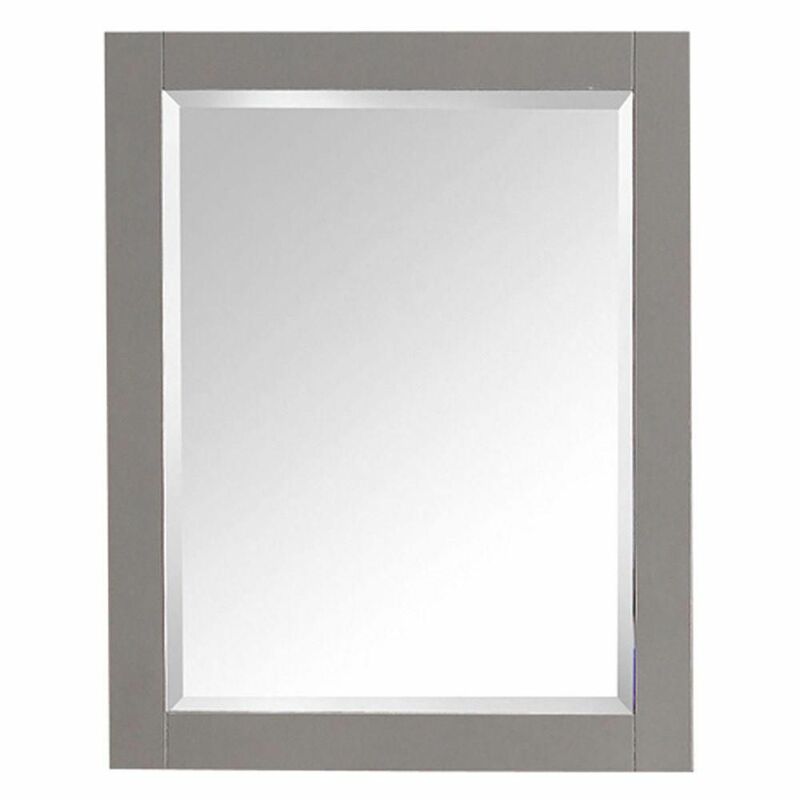 Transitional 32-inch L x 24-inch W Framed Wall Mirror in Chilled Grey is rated 5.0 out of 5 by 2. Rated 5 out of 5 by Chris from The mirror is very well made and solid. It... The mirror is very well made and solid. It matched perfectly with the new vanity. It provides a clean sleek look to the bathroom.